Okay so if you haven’t noticed, I am a pressed powder kind of girl. 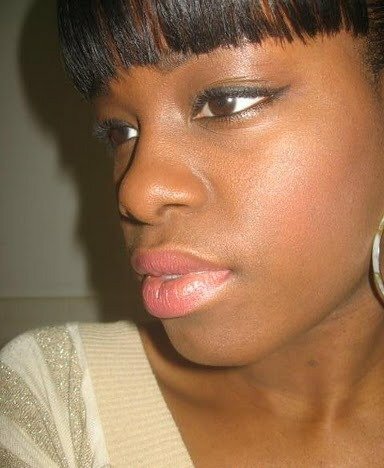 I tend to get very oily in the T-Zone so I stay far away from liquid foundations for fear of an oil slick.The last time I used a liquid foundation was back in 2005. I tried the Cover Girl Clean foundation in Toasted Almond and I liked it a lot. Unfortunately it became impossible to find the shade so I went back to my trusty pressed powders.When I heard about the Revlon Photo Ready Foundation, I was immediately interested. After seeing all of the great reviews all over the place, my interest turned into a lemming. Last week while in Rite Aid I saw that they were having a BOGO free sale for Revlon Face Products, so I picked up the PhotoReady Foundation and the Colorstay Foundation in Cappuccino. I have been using the PhotoReady Foundation for a week straight and so far, I really like it! Indoors, outdoors and everywhere in between, get poreless, airbrushed skin in any light. Photochromatic pigments bend and reflect light to erase every flaw. Light-diffusing formula gives complete, yet virtually undetectable coverage. I would have to say that this is pretty good coverage. I am left with a very natural finish that lasts all day and surprisingly does not leave me oily. I have not been touching up my makeup or using blotting sheets at all. So far I have not experienced any breakouts either. The Cappuccino shade blends in with my skin perfectly. For reference I am MAC NW45. The pump dispenses just the right amount of product and is very sanitary. It contains SPF 20 which is a big plus in my book, our skin needs as much protection from the sun as possible. 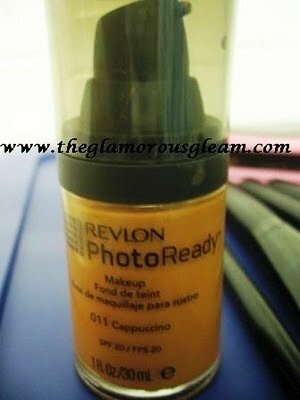 Revlon Photo Ready foundations retails for $13.99 USD for 1 fl oz, but can frequently be found on BOGO. So far I am really enjoying this foundation and look forward to venturing out and trying other liquid foundations. Next up, Revlon Colorstay Foundation. The Revlon PhotoReady Foundation definitely makes me feel Photo Ready, and I think it photographs very well. I don’t know about erasing every flaw now but hey, it’s good enough for me. What do you think? Have you tried this foundation? *After continued use I found Cappuccino (011) to be little too light for me, especially in the Summer. I now use two parts Cappuccino and one part Mocha (012) and it matches my skin perfectly. Is this transfer-resistant…like it won't get on your clothes…just curious…thanks. 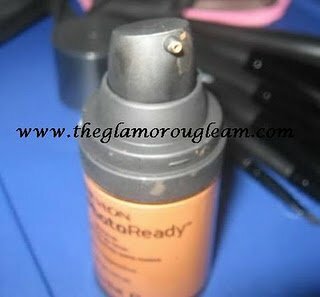 I do not believe that the PhotoReady foundation is transfer resistant however, the ColorStay foundation is supposed to be. Do you find this foundation to be overly sparkly or shimmery?? thanks! Not at all. I barely see the sparkles. I hear that the lighter shades have more visible sparkles though.